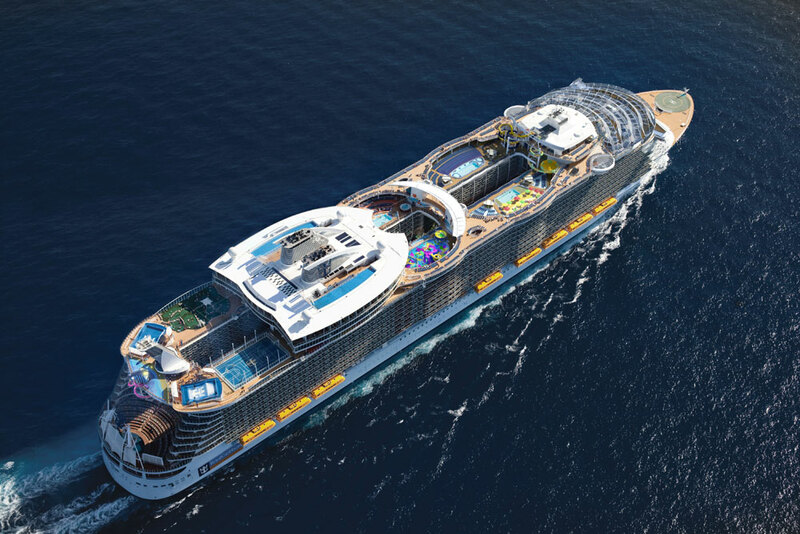 Royal Caribbean has announced that it has gone into an agreement for STX France to build a fifth Oasis class ship. The cruise company has also agreed to order two more Edge class ships for Celebrity Cruises. The fifth Oasis class ship will be built at the STX France shipyard and will be delivered to the Miami based cruise line in Spring 2021. the shipyard is already constructing the fourth oasis class ship which is scheduled for delivery in 2018. Just recently Royal Caribbean’s third Oasis class ship Harmony of the Seas was delivered at a slightly larger tonnage of 227,000 gross tons. The ship is the largest in the world and we expect the upcoming oasis class ships to be even bigger by just inches. When the fifth Oasis ship is completed we can sure expect some new innovations which Royal Caribbean is so well-known for. New details will be released over the coming moths and years, Cruise hive will keep readers updated on the latest.